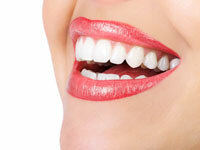 The use of Invisible Orthodontic Aligners has increased dramatically over the last 10 years. Now nearly 1/3 of orthodontic patients are adults who wish to straighten their teeth without the appearance of brackets and wires. At North Point Dental Associates, we have embraced the use of invisible aligners to straighten teeth. To receive a complimentary orthodontic smile evaluation in the High Point NC area, please feel free to contact us to schedule an appointment. Clear orthodontic aligners use a series of clear removable aligners to straighten your teeth without metal wires or brackets. The aligners are made through a combination of Dr. Oliver or Dr. Khan expertise and 3-D computer imaging technology. As you replace each aligner with the next in the series, your teeth will move – little by little, week by week – until they have straightened to the final position Drs. Oliver or Khan has prescribed. You’ll visit Drs. Oliver or Khan about once every 6 weeks to ensure that your treatment is progressing as planned.